We wonder what has Amelia (Caterina Scorsone) smiling? Koracick was a fun addition to the crew for a couple of episodes, but we're pretty sure Teddy is ultimately going to leave him for Owen. Hopefully he doesn't leave Seattle too heartbroken. Meredith (Ellen Pompeo) and Owen (Kevin McKidd) are smitten with the youngest addition to the show... Dr. Koracick, not so much. Teddy (Kim Raver) returns full-time to the series in Season 15. Bailey's (Chandra Wilson) happiness is almost contagious. Meredith doing what she does best — treating patients. Richard (James Pickens Jr.) and Catherine (Debbie Allen) take a nice stroll. Looks like something interesting in that article Meredith and Koracick are reading..
Grey's Anatomy is about to return, and this year is said to be "the season of love." So what better way to spread the love than via newly-released images from the upcoming premiere. 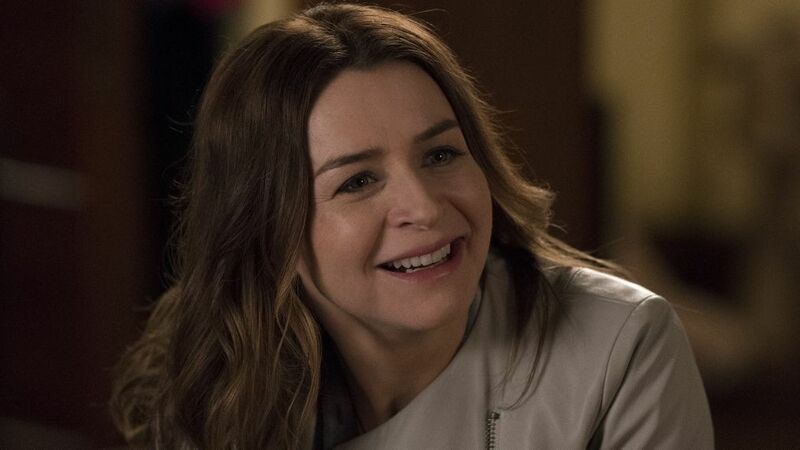 See Meredith (Ellen Pompeo), Owen (Kevin McKidd), Amelia (Caterina Scorsone), Bailey (Chandra Wilson), Richard (James Pickens Jr.), and more return in new photos for the upcoming episodes. The September 27 premiere will also welcome back Teddy (Kim Raver) in a regular role, just in time to stir up some drama for the conflicted Owen. The first half of the two-hour event is titled "With a Wonder and a Wild Desire," and will see the docs at Grey Sloan "vie for a new position." The synopsis continues, "Meredith is seemingly distracted and struggles to stay focused, and Maggie finds herself the keeper of a big secret while Amelia and Owen try to figure out their relationship. Meanwhile, Jo and Alex’s honeymoon doesn’t go exactly as planned." In the second ep, "Broken Together," some previously-announced new faces come in and "shake up the hospital in typical Grey Sloan manner." Also, Meredith connects with a patient, while Jackson struggles to find meaning in some of his recent experiences. Finally, look out for Jo to make a "life-changing decision" that leads to her forming "an unexpected alliance." And get ready to "feel all the feels" with the show's latest key art, which features Meredith, the Seattle skyline, and one very accurate tagline: "15 seasons of feels." Get excited for the premiere by clicking through the images above, and don't forget to tune in!